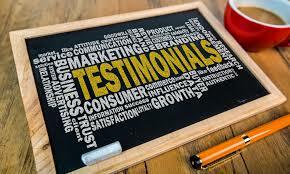 Welcome to our Client Testimonial Section! GUMSMACK is nothing but the best ! Gumsmack helped us get our website up and running smoothly to showcase our books and wine business venture. Priced well below others and down to earth personalities made me feel comfortable with doing business with. Product was signed, sealed and delivery on time with quality that exceeeded our expectations. Thank you again Gerald & Paulette!